Planning well for retirement can mean that people live as well or better as retirees as they did when they were working. That’s the finding of a new survey from global investment management firm T. Rowe Price which asked thousands of American adults including retirees about their perceptions and realities of retirement. 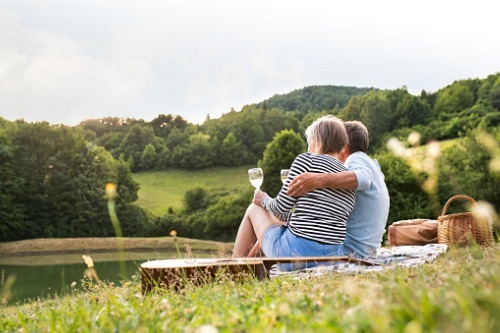 More than two thirds of current retirees said they are living at least as well as they did when they were working with 84% saying retirement had turned out as good or better than they expected and 80% enjoying retirement more than their working lives. However, among those polled who have yet to retire, just 39% believe they will live as well or better in retirement. As people close in on retirement, their biggest fear is health and the cost of healthcare (70%) closely followed by concerns about their assets lasting for their retirement (65%). Seventy-two percent say long-term care services, like a nursing home, is the top spending concern in retirement, followed by health insurance premiums (64%) and out-of-pocket health care expenses (64%). While they are concerned, the poll found that 77% of retirees have enough money for healthcare costs compared to the 46% of current workers who think that will be true for them. This is probably at least partly driven by retirees’ dedication to budgeting with 52% always sticking to their monthly budget if they have one, compared to 26% of current workers.